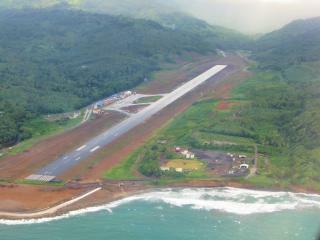 Radcon Formula #7 has been applied to the rooftop and the control tower of Melville Hall Airport in Dominica. The area covered is approximately 6,503 sq feet. As it is close to the ocean and on the coast of an island it is exposed to everything from salts, aviation fuel, high winds and thermal stresses. Radcon was the ideal product to give it lifetime protection.